Teeth erupt crookedly for a number of reasons that range from genetics to mouth deformities and serious oral diseases. When extra teeth or abnormally large teeth create a malocclusion (crookedness or misplacement of teeth), the culprit is usually genetic in nature. Other inherited traits involve jaws that are too small to accommodate a full set of teeth and misaligned jaws that did not form properly in the womb. Can crooked teeth be prevented? Permanent teeth underneath baby teeth are directly affected by the health of baby teeth. If baby teeth are prematurely lost due to decay or trauma, permanent teeth will shift when they start moving upward. Baby teeth are like anchors for permanent teeth that help guide them as they erupt through the gums. In addition, excellent care of baby teeth is vital to having healthy permanent teeth free of discoloration or decay. Harmful oral bacteria can spread into the gums and reach permanent teeth still buried in the gums. Once attached to a tooth’s enamel, bacteria will begin eroding the tooth even before it has a chance to take its first bite! Dr. Diane Milberg and our staff suggest that parents bring your child to Diane Milberg DDS around age seven to rule out potential issues with permanent teeth eruption. 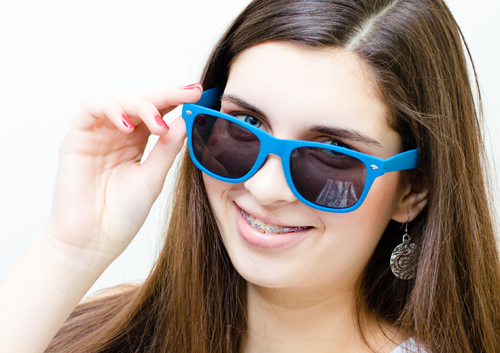 If problems are discovered, it is not unusual to begin orthodontic treatment at that age. In fact, specific conditions such as crowding and gaps between teeth are easier to correct at an early age. Early treatment also benefits from the growth process of the jaw, which helps move teeth to normal positions.